May 2011, Manly Library, NSW. In Venice at Scuola di Grafica I participated in a workshop with American calligraphers Stephen Skaggs and Laurie Doctor. As part of this I created two hand made books entitled Venice Diaries 1 and 2. Diary 2 is the more abstract of the two with free form calligraphy and watercolour images cropped. 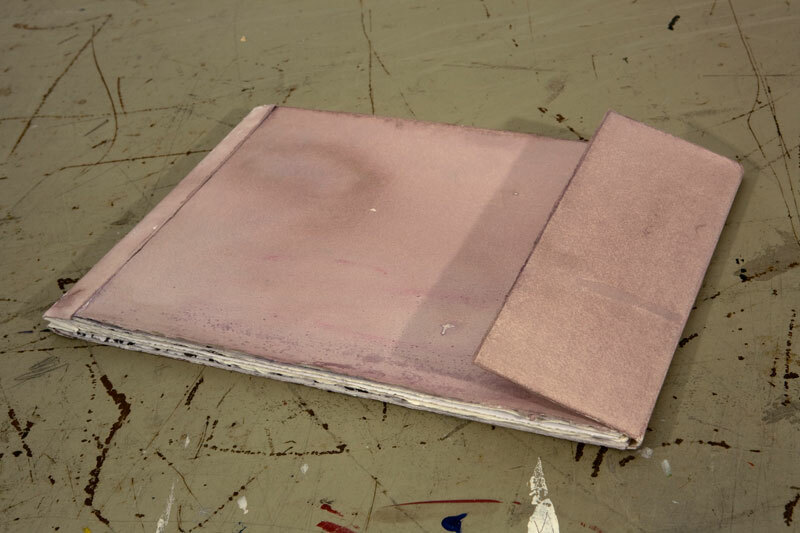 The cover of the book was stained pink, evoking the facades of Venice. Venice Diary 2 cover, artist book, mixed media drawings and watercolours, 2010. Venice Diary 2, artist book, mixed media drawings and watercolours, 2010.